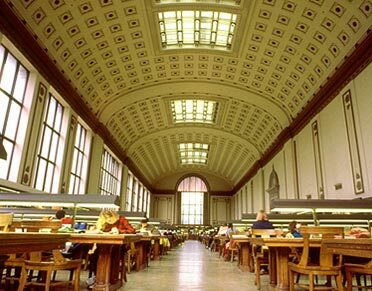 Read more about how you can support the UC Berkeley Ethnic Studies Library. Cash contributions of any amount are welcomed and can be made directly to the Library using the online form. In the Special instructions or designations for this gift section, specify that you are supporting the Ethnic Studies collections. Gifts of books and scholarly materials have historically represented a significant element in the development of our outstanding research collections. Contact Corliss Lee about the materials you wish to donate. Contributions given in memory or in honor of a person are welcomed. For a gift of $1,000 or more, a named memorial book fund can be established. A special book plate will be created and placed in each book. Endowment funds may be established with a gift of $50,000 or more. These funds provide the library with an annual income in perpetuity and have a lasting impact on maintaining a world class collection in of Ethnic Studies. The University invests its endowments carefully to achieve a healthy rate of return that provides for both current needs and long-term growth. A special book plate will be created and placed in each book. 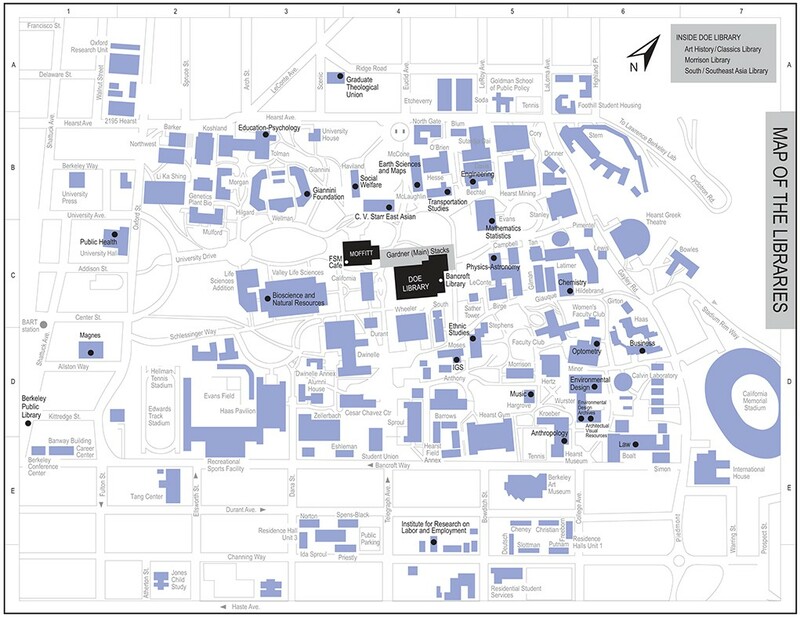 Click on the image below to see a larger version of the campus library map. You can also view/download a map of library locations. For library contact information and building addresses, visit our directory. Looking for a location in Doe, Main Stacks or Moffitt? To select individual libraries/units, hold down the Ctrl key while clicking.